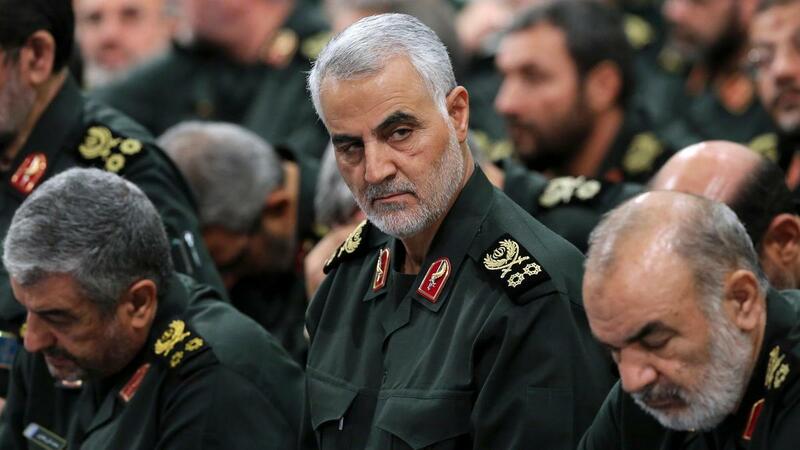 Fox's Bret Baier posed the question to the Secretary of State: The head of the IRGC, this man Qasem Soleimani, is by all accounts a bad character and has led all kinds of attacks. But are you saying that he now is equated to, let’s say, the head of ISIS, al-Baghdadi, in U.S. policy perspective? Responding to whether Suleimani is now "equated" to notorious "caliphate head" Baghdadi, Pompeo affirmed, "Yeah. He is a terrorist." Baier asked: "So we as a country have a policy to target him or capture him?" "Each time we find an organization, institution, or an individual that has taken the lives of Americans, it is our responsibility – it’s indeed President Trump’s duty, and we have made tremendous progress in this administration’s first two years – to reduce the risk that any American will be killed by Qasem Soleimani and his merry band of brothers ever again," Pompeo responded. 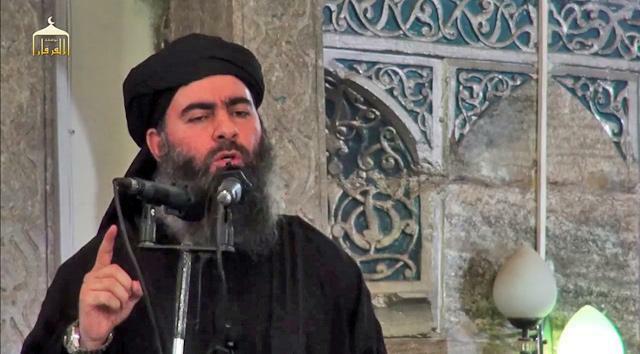 So-called ISIS caliphate leader Baghdadi, the world's "most wanted" terrorist.